Hi,there! Oh, my gosh. I've been so busy! I had one of my show and sales that I had to get ready for, HAD to have fun with Louisa and had to finish an order of 5 haunted houses and 5 halloween lanterns by today. Phew! Here are a couple of cards I finished earlier. Love these! 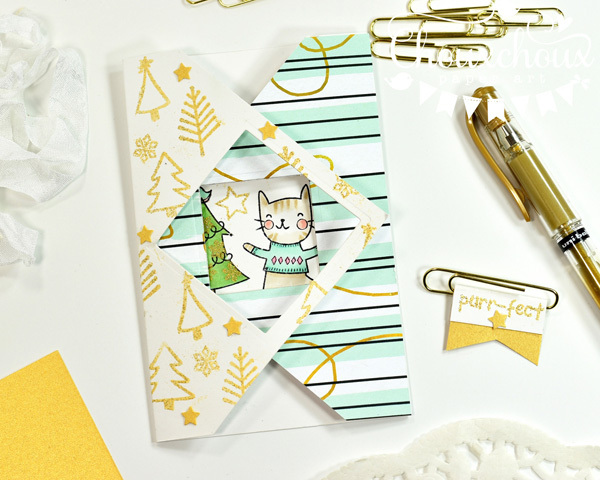 Double Square Overlap Window cards are fun and easy to do. I've got a video for you below. opening the two flaps reveals the entire scene. Isn't she sweet? 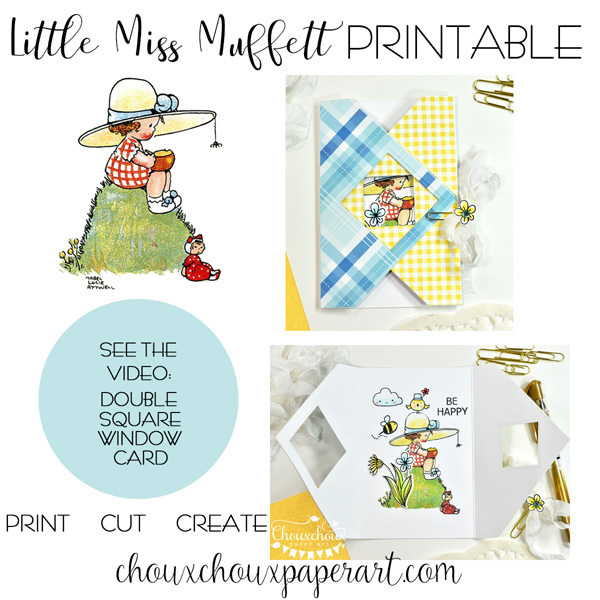 A Little Miss Muffett character you can download below. I embellished a bit with some stamps colored with copics. Download Little Miss Muffett HERE. So glad things have slowed down a little. Still have lots of goodies to make for orders from my show and have to make Louisa's birthday invitations over the next couple of days. Shouldn't be too hard! 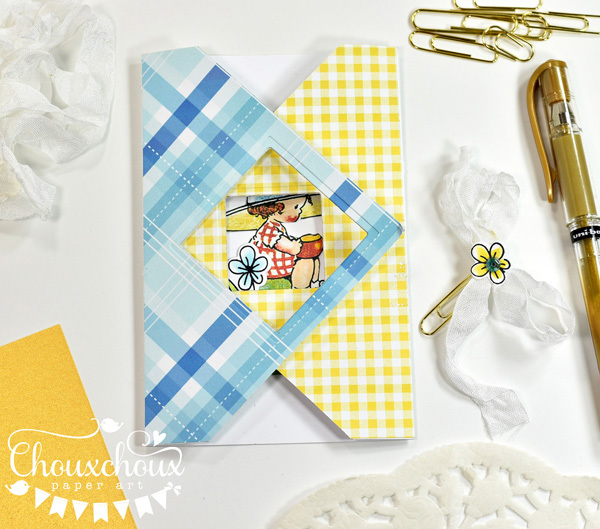 The Double Square Overlap Window card would work for just about every occasion. I'd like to find time to make a few more. Are you going to make one? LOVE your Double Square Overlap Window Cards, such great design they have! Thanks so much for the cute image and the tutorial! It seems enough simple but very effective! 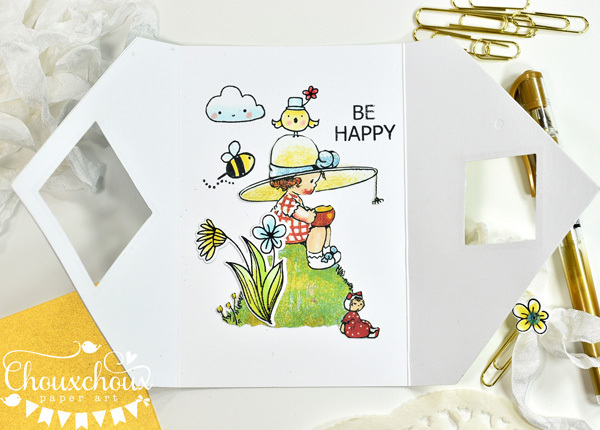 Love the sweet papers you used and the little embellishments!! Hugs to you and Princess Louisa! 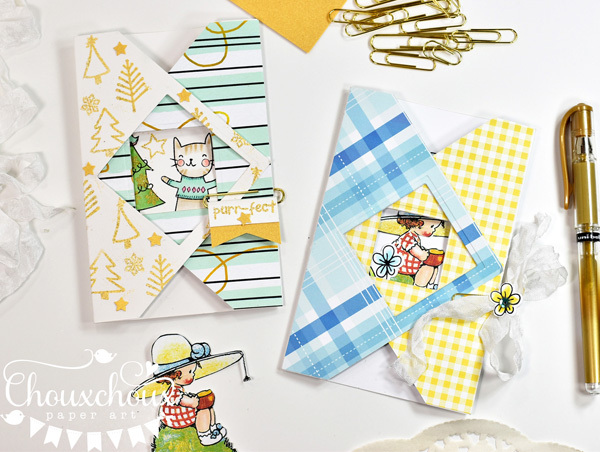 Awesome double square overlap window cards, so fun! They reveal such sweet scenes! Thanks so much for the video! You are a crafty busy lady! It’s the beginning of busy times for crafts and holidays just around the corner. Enjoy the fun times and precious time with Louisa! Take care, hugs! Oh.my.gosh.... that double square window design is SO fabulous! The little peekaboo window is so sweet and I love the interactive feel to this design. Such sweet images you used, too. cannot wait to see how you made these! Sounds like your to-do list is a mile long these days! Don't know how you do it all, my friend! You are Superwoman! Oh my goodness this is just so sweet, love this fold and the great surprise of seeing the whole image when you open it up, great idea for the closure too!! This is so much fun Lori. 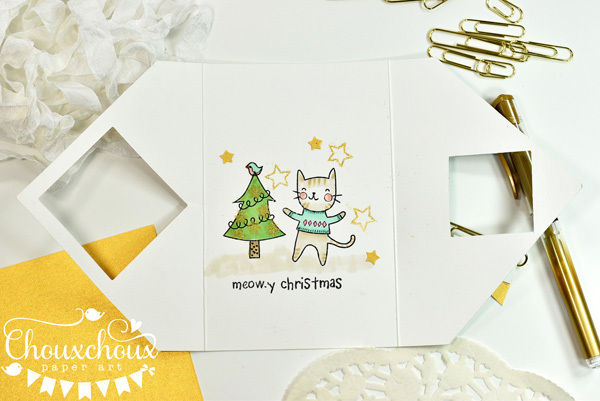 It's a simple design and easy to make, but so soooo cute! Thanks for the great tute. WoW!! what fun cards, beautifully made!! Oh for crying out loud--what a wonderfully creative design, Lori! I don't usually do unique folds, but this I've gotta try! Darling cards!